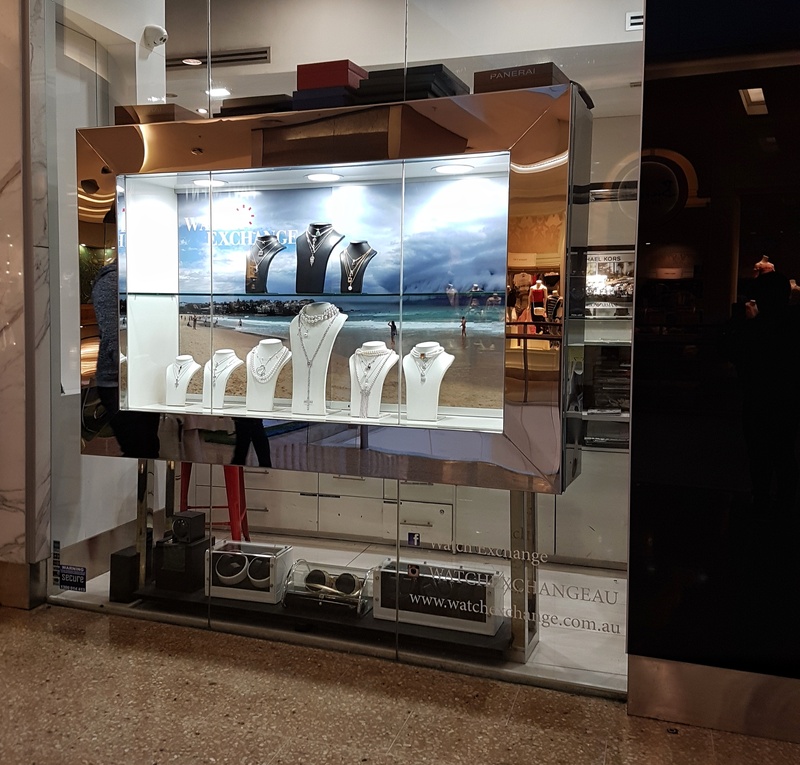 In local watch-related news, a police operation yesterday on jewellery shop Jacobsons Jewellery at Westfield Bondi Junction has resulted in the seizure of more than $270,000 in cash and watches to the value of over $3.5 million. 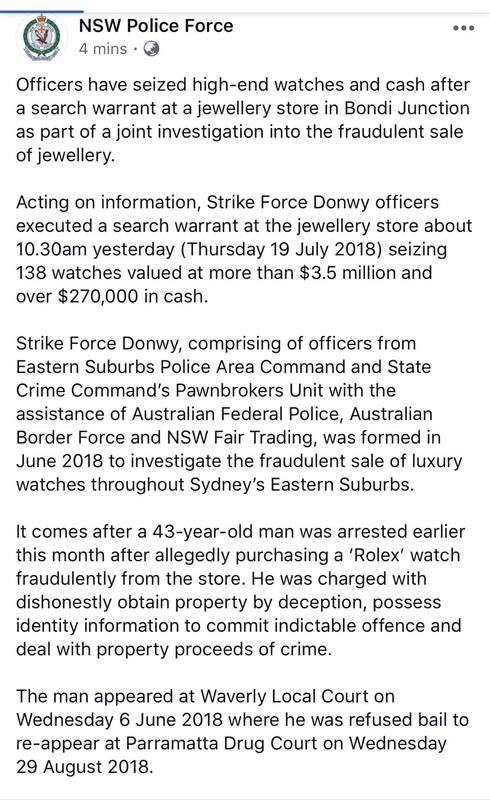 The official NSW Police social media post on the raid can be seen below. For news reports on this raid with photos and film footage, go to this link and this link. 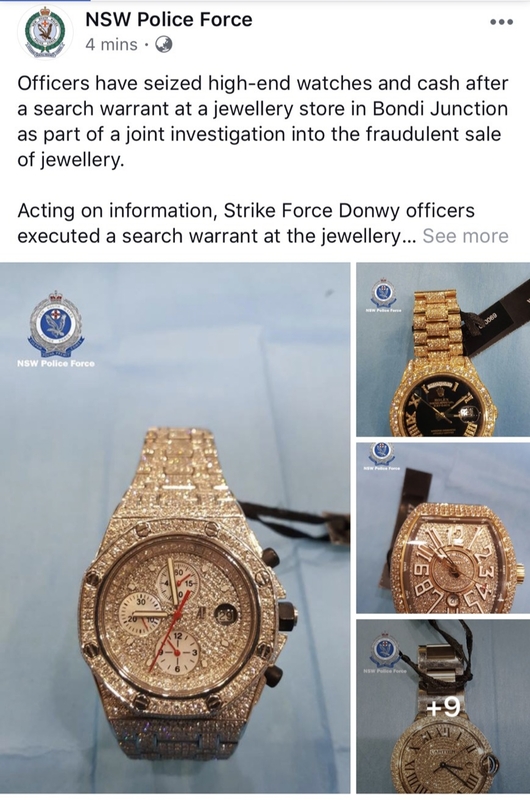 As stated in one of these news reports, shop owner Mr Gabby Stafford also operates a pre-owned watch business at the same location, called ‘Watch Exchange’, in partnership with Mark Judge. Mr Judge is best known for his association with the Rebels OMCG and as a friend of fellow Macaw-fancier John Ibrahim. Jacobsons Jewellery has been known locally for its window of diamond bezelled watches. Today, the window was filled with jewellery.